LONDON, July 28, 2010 (AFP) - BP's outgoing chief executive Tony Hayward was the target of fresh US anger Wednesday after claiming he had been "demonised and vilified," threatening efforts to draw a line under the Gulf oil spill. The comments by Hayward, who resigned Tuesday following his heavily criticised handling of the Gulf of Mexico disaster, drew renewed criticism from Washington as BP struggles to restore its reputation after the spillage. "I don't think that a lot of people in any country are feeling overly sorry for the former CEO of BP," said White House spokesman Robert Gibbs. 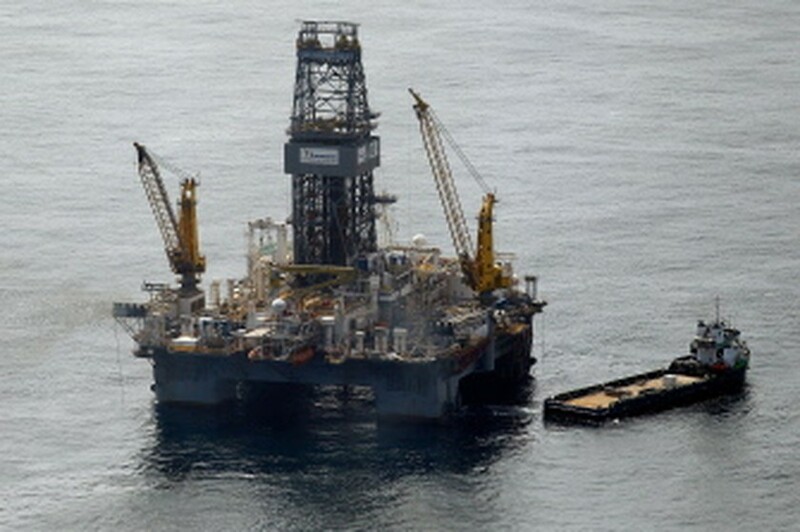 Hayward's departure was a drastic move by the oil giant to rebuild its image in the aftermath of the spill that is set to cost the British group 32 billion dollars. He will be succeeded by Bob Dudley, who is in charge of BP's Gulf clean-up operations and who has vowed to "change the culture" of how the company tackles safety issues. BP also said Tuesday it had made a record 16.9-billion-dollar loss in the second quarter, and will sell 30 billion dollars of assets over the next 18 months as it seeks to return to profitability. "This is a very sad day for me personally," Hayward told a conference call. "Whether it is fair or unfair is not the point. I became the public face and was demonised and vilified. BP cannot move on in the US with me as its leader." But Gibbs hit back: "What's not fair is what has happened on the Gulf, what is not fair is that the actions of some have caused the greatest environmental disaster that our country has ever seen." Hayward was also the target of fresh anger in the United States over a separate matter -- his decision to snub a US Senate hearing into BP's alleged role in the release of the Lockerbie bomber. Democratic Senator Robert Menendez said the hearing, originally scheduled to take place Thursday, had been postponed after key witnesses, including Hayward, had refused to attend. He accused the BP executive of only being interested in his "multi-million-dollar golden parachute." Under his contract, Hayward will receive one year's salary, worth 1.045 million pounds (1.245 million euros, 1.620 million dollars). He also has a pension pot totalling 11 million pounds. In its results Tuesday, BP was pushed into the red by the 32.2 billion dollars set aside to pay for the costs of the spill -- which was the worst environmental disaster in US history. BP and Hayward have been mauled by Washington since the Deepwater Horizon rig exploded on April 20, killing 11 workers and unleashing millions of gallons of crude into the sea and onto the US Gulf coast. It has taken more than three months to stem the Gulf of Mexico oil flow. Up to four million barrels (170 million gallons) of crude have escaped. The catastrophe has destroyed vital tourism, fishing and oil industries in the five US Gulf coast states and left BP facing soaring clean-up and compensation costs. Hayward will step down on October 1, and will remain a BP board member until November 30, but has meanwhile been nominated as a non-executive director of Russian joint venture TNK-BP. Dudley will become BP's first American chief executive following the resignation. "I think sometimes events like this shake you to the core, the foundation, and you have two responses," Dudley said in an TV interview with ABC News, in reference to the oil disaster. "One is to run away and hide, the other is to respond and really change the culture of the company and make sure all the checks and balances are there, just to make sure this does not happen again." Dudley added that his top priority was to permanently seal the Gulf well, contain the crude spill and to clean up and restore the area's beaches. The group finally capped the leak on July 15. BP's share price has plunged about 40 percent since the explosion -- wiping tens of billions of dollars off the group's market value. BP shares closed down 2.63 percent at 406 pence in London. Hayward, 53, had already handed over day-to-day management of the crisis in June to Dudley, as criticism mounted over his gaffe-prone handling of the disaster. Hayward enraged Gulf residents when he said in a May 18 interview that the environmental impact of the spill would be "very, very modest." Then on May 30 he was seen as insensitive to the families of the dead rig workers when he said he wanted the disaster over with so he could have his "life back".